With the hustle and bustle of today’s lifestyle, it is often hard to have quality family time with the kids. This is why it is important to make the best of every opportunity you get. 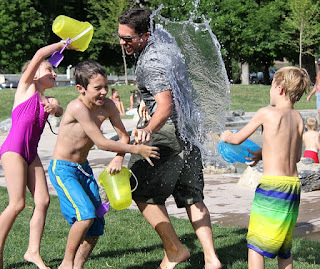 In this post we look at 7 adventurous activities that your kids will love. You do not have to go to the amazon to have an amazing camping experience with your family. Pitching a tent in your backyard will do just fine. Bring some snacks, build a campfire, tell ghost stories, laugh and just have a great time together. You get to kill three birds using one stone with this one. You spend time with your family, you teach them responsibility and the value of helping others, and you give back to the community. When choosing what to do, consider your kids’ interest and go for something they are sure to enjoy. Cleaning around the neighborhood or visiting a children’s home are some examples. Go-kart racing is a fun filled activity that parents enjoy as much as the kids. Family friendly go-karts have 2 seats to allow kids to ride along with a parent. Some centers like the kids go kart racing Aurora even have special tracks and smaller go-karts for kids between six and nine years of age. Gardening is messy which makes it mighty fun for your kids. They might not be able to till or do the heavy lifting, but harvesting and watering are two things they can be really good at. Plant anything from flowers to vegetables. Who knows, it might even convince them to eat more greens and fruits. Let your kids help out in the kitchen. You can chop and cut while your little helpers take care of the kneading or cleaning up. There are hundreds of children cookbooks with simple recipes on amazon that you can download and use.